In the 1990s and early 2000s Bohem activity was at its peak. We showed a lot, won a lot and bred 15 litters that included more than 40 champions. 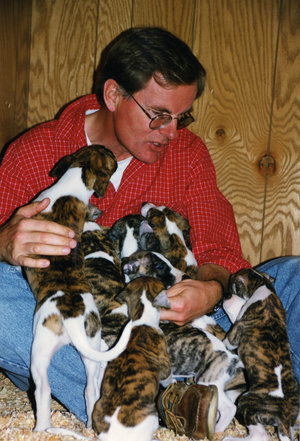 Several home-breds also achieved obedience and lure coursing titles, won Specialty and All-Breed Best in Show, etc. — not just in the U.S. but in many other countries as well. 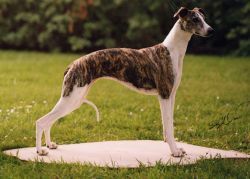 Three different home-bred Bohem Whippets took the FCI World Winner title, which may be an all-time record for an American kennel. Exported as a puppy to a first-time Whippet owner in Finland, "Vinnie" grew up to become a great winner and a stud dog of international renown. He has sired more than 30 champions in Finland, Sweden, Norway, USA, Canada, Holland, Germany, Austria, Israel, Poland and Estonia, including the No. 1 Whippet in five different countries. "Baby" (also, for obvious reasons, called "Rosemary's Baby") was Bo's pick puppy from Maggie's first litter and sometimes shown by him. However, she lived almost all of her long life with Rosemary and Bruce Sutton at Summerwind (best known for Afghan Hounds) and was greatly beloved by them. 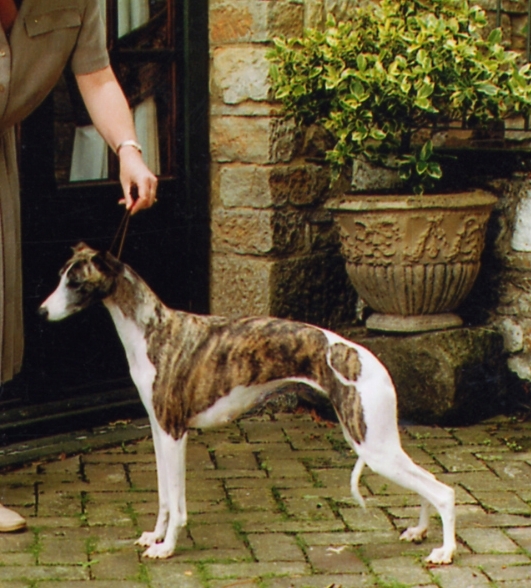 She had a glittering show career including many Group wins, Specialty BIS and Select at the American Whippet Club National Specialty in 1994. (What was called a Select then was really an Award of Merit, but Baby was in fact runner-up to BOB.) She also was the dam of champions.